1. Deny al-Qaida a safe haven. 2. Reverse the Taliban's momentum. 3. Strengthen Afghani security forces in order to transfer responsibility of the country over to them. The president's decision came with a promise to start removing some of those surge troops this summer. In a speech on Wednesday night, he put on his best game face as he announced that the military has made significant progress on its goals in Afghanistan, and that he will indeed begin troop withdrawal next month. Specifically, 10,000 troops will pull out of Afghanistan by the end of this year. The full 30,000 additional surge troops will be out by next summer. "We are starting this drawdown from a position of strength," said Obama, explaining that the military has clamped down on al-Qaida's capabilties and the terrorist threat from Afghanistan. In addition to killing several al-Qaida operatives, including Osama bin Laden last month, U.S. forces have squashed many Taliban safe havens in the country while Afghan security forces have grown by more than 100,000 troops. "We have put al-Qaida on a path to defeat, and we will not relent until the job is done," he said. Obama spoke decisively as he delivered the optimistic news that the mission is headed in the right direction. Yet the more contentious issue remains: Even with the removal of 30,000 U.S. troops from Afghanistan, that still leaves about 70,000 troops there. And as public support for the war has waned, Congress is growing increasingly skeptical of the mission (particuarly when the country spends billions each month in Afghanistan, and when 1,500 American forces have given their lives there). With this uphill battle, the president did his best to make his case for staying. He first explained that the reduction of 30,000 troops by next summer is just an initial drawdown. More pullouts will gradually continue, he vowed, until responsibility is completely transferred over to Afghanistan by 2014. But he stressed that there is still a threat from neighboring Pakistan. Furthermore, he said the country will not be stable until a political settlement — including reconciliation talks between the Afghani government and the Taliban — is reached. "The goal that we seek is achieveable, and can be expressed simply: no safe haven from which al-Qaida or its affiliates can launch attacks against our homeland, or our allies," Obama said. "We will not try to make Afghanistan a perfect place. We will not police its streets or patrol its mountains indefinitely … What we can do, and will do, is build a partnership with the Afghan people that endures — one that ensures that we will be able to continue targeting terrorists and supporting a sovereign Afghan government." Obama kept his remarks at a fairly upbeat and brief 15 minutes. It wasn't enough, however, to convince detractors to get on board. "I'm very disappointed with the numbers," California Rep. Barbara Lee, who was famously against the war from the very start, told The Root. "[The troop withdrawal] is not significant or sizeable, and the American people have said over and over again that they want this to end." Minnesota Rep. Keith Ellison, who has also called for a swifter winding down of operations in Afghanistan, likewise expressed disappointment with the troop reduction numbers. "Basically, we're only going to get back to the pre-surge levels more than a year from now. That does not seem to me to be the pace that we should be on, given that we've nearly gotten al-Qaida completely out of there," Ellison told The Root. "What is the justification to take more than a year to get down to 70,000 troops?" 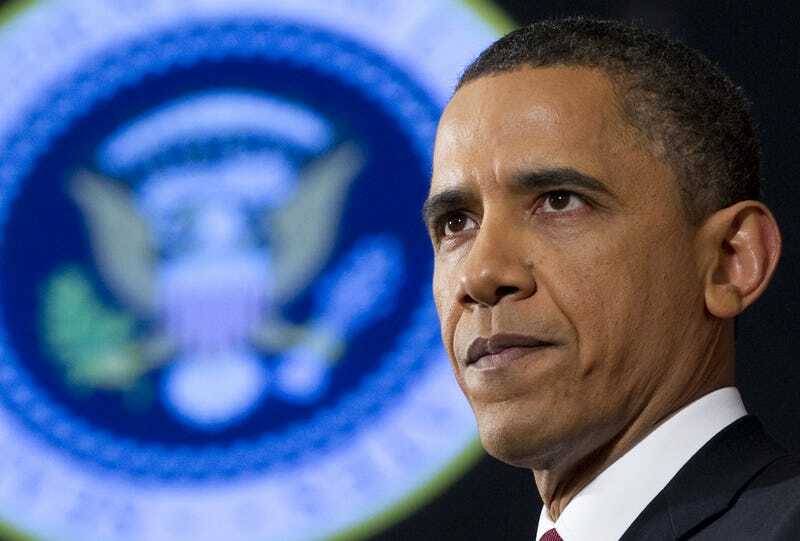 President Obama's explanation about staying vigilant against threats from Pakistan, and establishing a political settlement between Afghani officials and the Taliban, failed to persuade Ellison. "Look, 100,000 U.S. troops aren't necessary to have talks with parties for national reconciliation," Ellison said, adding that he's not calling for complete troop withdrawal. "I do think the international community, including the United States, should be there with USAID to work on women's issues, water and democracy. But the military occupation of Afghanistan needs to come to a close." Lee concurs. "History shows us that there's no military solution in Afghanistan," she said. "I know that the president has the weight of the world on his shoulders, but I just respectfully disagree with him on this issue. So I'm going to offer an amendment to cut the funds for combat operations, to only leave the funding there to protect our troops and contractors, and to begin an orderly withdrawal." Ellison said that, in both parties, there is support for such an idea. "The mood in Congress," he said simply, "Is that there's bipartisan desire to end our role in Afghanistan. Increasingly."